Today at the 2012 Toronto International Film Festival (TIFF), I had the opportunity and honour of seeing Will Smith and Jada Pinkett Smith at the red carpet for Free Angela & All Political Prisoners. This new feature documentary, legendary radical activist Angela Davis speaks for the first time about her 1970s imprisonment as a terrorist and conspirator, which became a flashpoint in the black liberation struggle and turned her into a revolutionary icon. Jada and Will arrived with son Jaden and daughter Willow, as well as other family members. The couple immediately attended to their awaiting fans. They were AMAZING! Jada Pinkett Smith wore a gorgeous white backless dress. With a back like that, I wouldn’t mind hopping in bed with Jada every night either. Such a young and vibrant couple! I love this couple. Always have and always will. Actively participating in a documentary of this nature only solidifies their commitment to causes much greater than their celebrity. 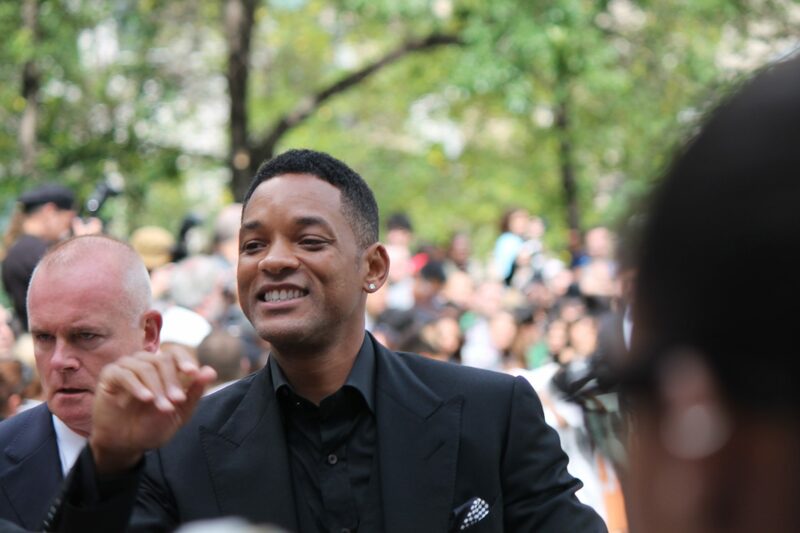 Check out this video of Will Smith working the red carpet.